Funny and adorable Pug decal! This vinyl sticker reads, “Crazy Pug Lady,” and has a cartoon of the Pug dog breed on the left. So cute! Tell the world how you feel about your pooch with this unique dog lover sticker. Decal measures 6″ wide and 1″ tall. Funny Pug decal has a skull and crossbones style design with a dog head wearing an eye patch. The text below reads, “Fear the Pirate Pug.” Hilarious fun for all Pug owners! Yarrr, it be the dreaded Pirate Pugs! A skull and crossbones type design has the cartoon head of the toy breed dog embroidered above the words, “Fear the Pirate Pug.” A very unique and fun Pug sweatshirt. Available in other dog breeds too. Yarrr, it be the dreaded Pirate Pugs! A skull and crossbones type design has the cartoon head of the toy breed dog embroidered above the words, ‘Fear the Pirate Pug.’ A very unique and fun Pug gift. Available in other dog breeds too. Angel Pug decal with the dog breed silhouette wearing a wing and halo, with “Furever in my heart” underneath. Beautiful memorial vinyl sticker for dog lovers whose pets have crossed the Rainbow Bridge. This item can be personalized with the dog’s name for an additional fee. Please enter dog’s name in the personalization box. Max 12 characters. Decal measures approximately 4″ wide and 4.6″ tall. It’s a Pug thing. You wouldn’t understand. Funny Pug decal is perfect for the dog owner who tries and often fails to explain the little things about the breed that only an owner would know. 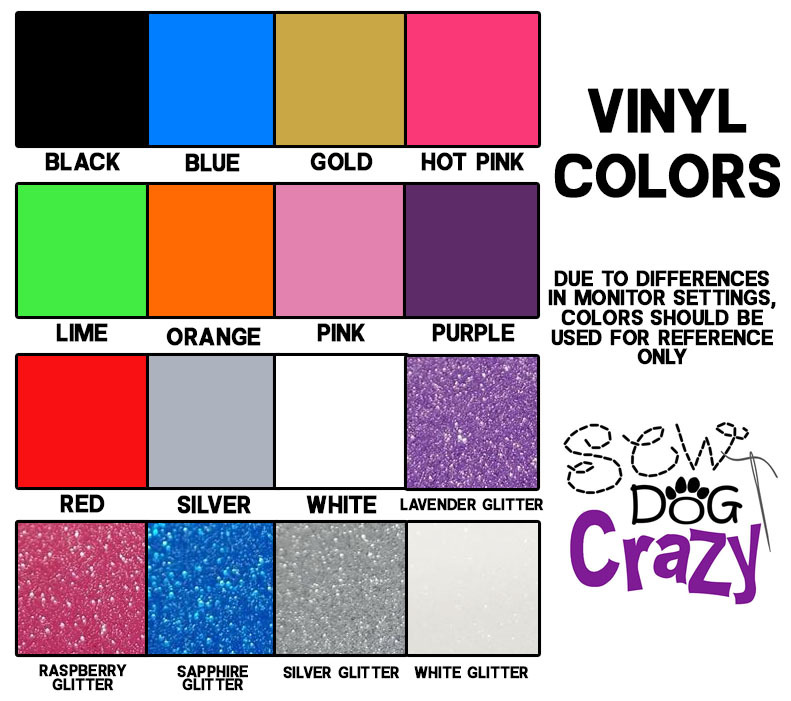 Breed specific vinyl sticker is available in many dogs, with a silhouette on the upper right. Decal measures approximately 8″ long and 1.9″ high. A great Pug agility sticker for dog agility fans. This vinyl decal has a silhouette of the dog breed jumping over “Pug,” with “Agility” underneath, as well as a pair of paw prints on either side. Unique Pug Agility decals are a great way to brag about your talented canine. Our vinyl Pug agility sticker has a jumping silhouette of the dog breed leaping fantastically over the word Agility, which has an a-frame like climb in the center. In the background stands a dog walk, and the breed name is at the very bottom. This original Pug vinyl decal looks amazing on the rear window of a vehicle. Cute cartoon Pug decal is perfect for the proud dog mom or dad to display on their vehicle! This unique dog lover vinyl sticker is a kawaii cartoon of the dog breed. Fun, trendy and looks wonderful on the rear window. Super cute embroidered Pug sweatshirt has the dog stitched onto the left chest. The cartoon pooch is sitting down, wearing antennae and a ladybug pack with wings. Underneath reads, “Love Pug,” a play on “love bug.” Absolutely adorable and unique Pug apparel! Super cute embroidered Pug t-shirt has the dog stitched onto the left chest. The cartoon pooch is sitting down, wearing antennae and a ladybug pack with wings. Underneath reads, “Love Pug,” a play on “love bug.” Absolutely adorable and unique Pug apparel! A heart surrounds the text “Pugs” as well as a silhouette of the dog breed and a paw print. A cute Pug decal, available in many different colors. Amazing Pug sticker with a dog breed silhouette standing inside of a giant heart, as well as the breed name and a paw print too. An original vinyl decal with a clean look that clearly expresses how you feel about these canines! Nobody understands me like my Pug! Funny Pug car window sticker for dog lovers. Simple text with a couple little paw prints and a silhouette of the dog breed in the lower left. This vinyl decal is approximately 5.4″ wide and 3.6″ tall. These “Protected by a Pug” decals are perfect for anyone wishing to warn away thieves and intruders – gag or not! Put them on your car, SUV, front door, or your other property. A silhouette of the dog breed stands in the center of an oval, with the text around the outside. It could be a funny vinyl sticker to amuse guests and passersby, or it could be true!